Mai Niemi is a B. 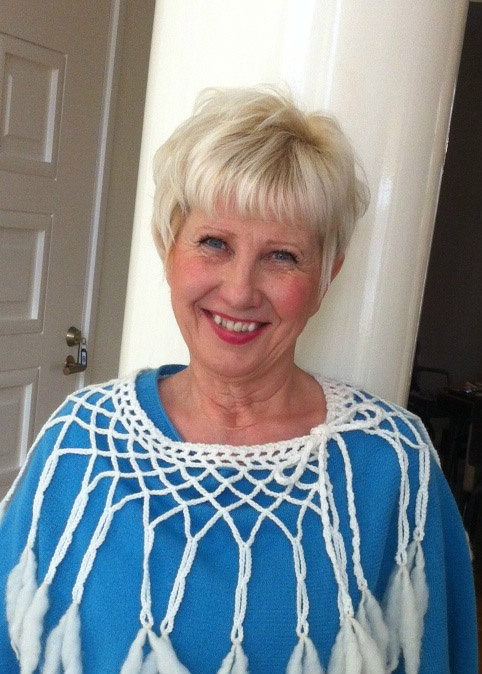 A. hons fashion designer ( Central St.Martin´s College of Art, London) who is working out of Finland and produces distinct knitwear clothing and accessories. Mai Niemi has predicated her businesses and designs on her concepts of contributing to the health, wellness and beauty of her clients. She has an intrinsic relationship to multidimensional energies which she interprets through her work. She is deeply connected to the Divine Feminine, Kalevala, a cosmogonic narrative of Finland and to the ancient Fenno-Ugric culture. She is known as the Finnish Fairy Godmother and has been described as a fashion alchemist who wields spirit into form creating New Earth Fashion. Mai Niemi is also a Fengshui consultant (European School of Fengshui) and Reconnective Healer trained by Eric Pearl.